Have you ever looked through a magazine and thought... whoa.... I could totally see this being my bed(room) and I could sleep here tonight and wake up here tomorrow? Well, I did that with these photos below. Maybe it's time for me to update my bedroom and make it more like these. Don't you just love these? If anything they'll inspire you to add a pop of color into your space or a vase of some fresh sprigs. How do you update your room when you start getting sick of your home decor? Tags : I could sleep here. The top one with the green is my favorite. 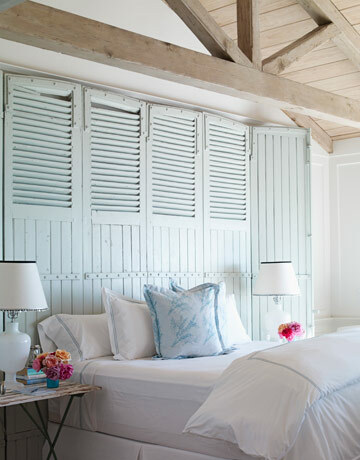 That headboard is amazing! Thanks Laurie, I love them all! 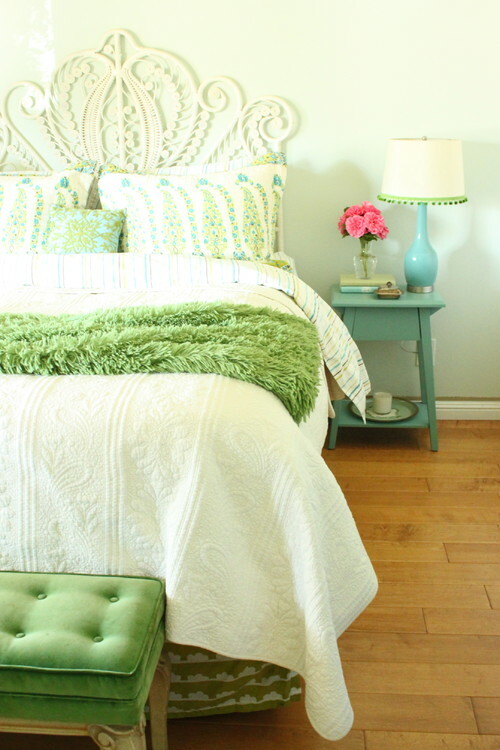 Thanks for including my bedroom in your post! Glad to provide some colorful inspiration!